The Creative Whack Pack's 84 interactive creativity strategies stimulate you to think creatively. 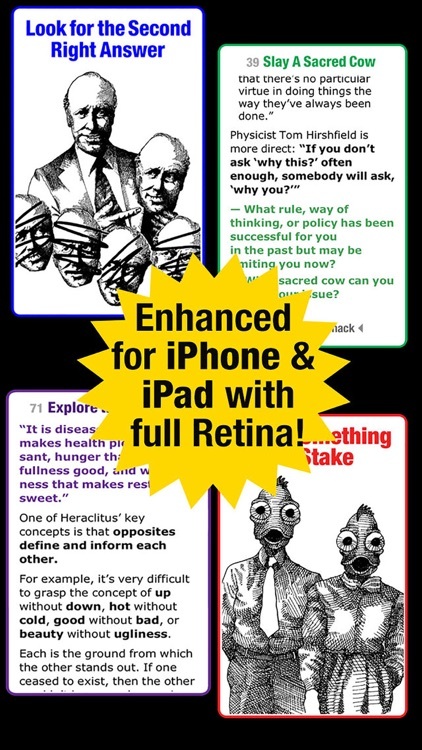 • The iPhone/iPad Universal App has 20 NEW CARDS (the Heraclitus suit)! 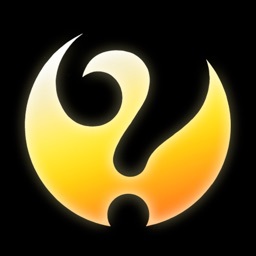 The Creative Whack Pack is the App Store's "premier creative thinking/innovation tool." 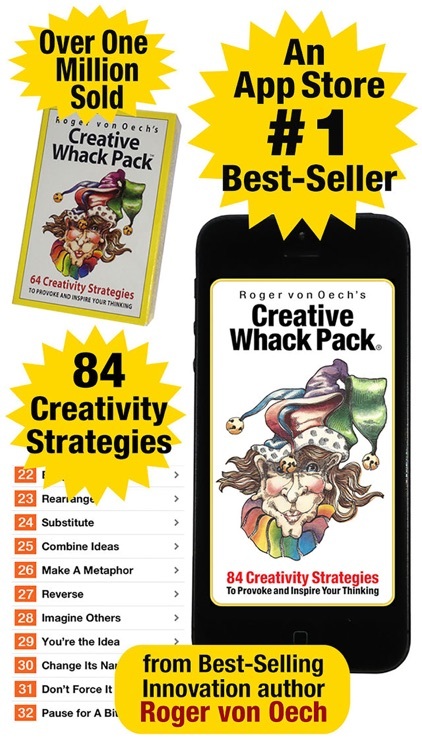 The Creative Whack Pack is a “creative workshop in an App.” It consists of 84 illustrated creativity strategies. Each of these is packed with stories, examples, and questions. These 84 creativity strategies will “whack” you out of your habitual thought patterns and allow you to look at what you're doing in a fresh way. 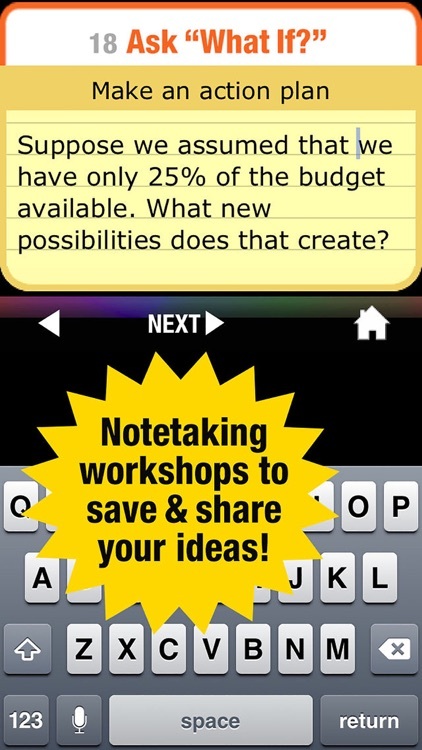 Use the workshops to stimulate your thinking. For: Creatives, business people, educators, students, coaches, designers, and anyone else who'd like to boost their creativity. 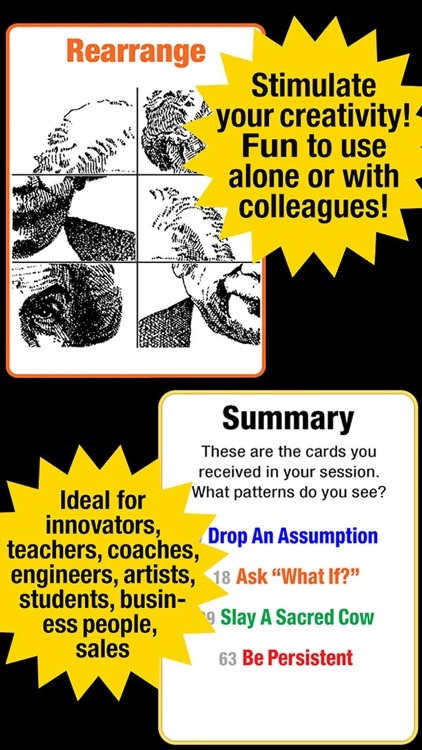 Based on the million-selling Creative Whack Pack card deck, this App can serve you as a: Creativity tool, mind jogger, Oracle, workshop, and coach. 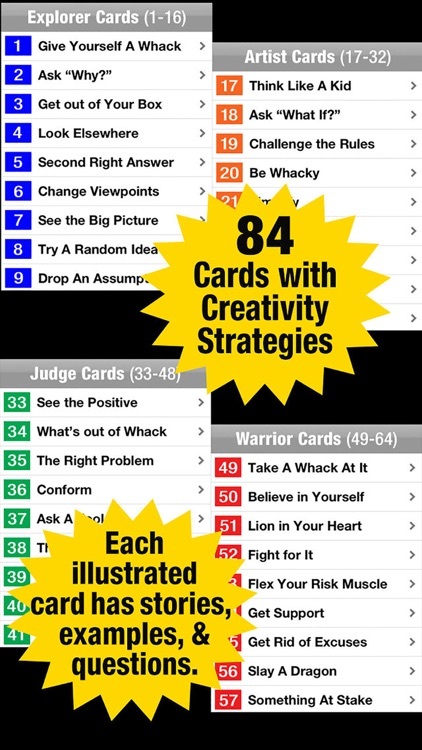 The Creative Whack Pack is a “creative workshop in an App.” It consists of 84 illustrated creativity strategies. Each of these packed with stories, examples, and questions. 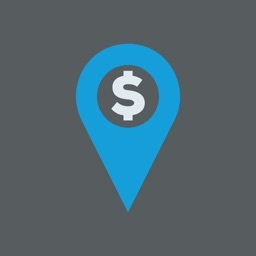 — 16 Explorer strategies highlight places to find new information. 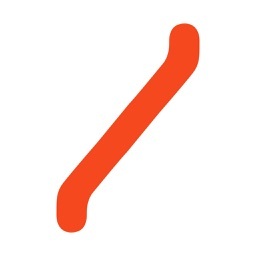 — 16 Artist strategies provide techniques to generate new ideas. — 16 Judge strategies lend decision-making advice. 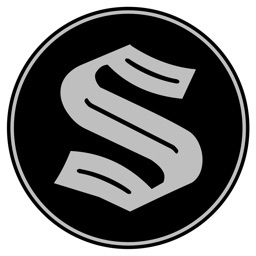 — The 16 Warrior strategies give you the “kick” you need to get your ideas into action. — And the 20 Heraclitus strategies stretch your thinking to a new dimension. 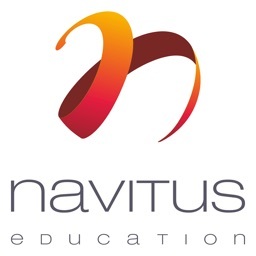 Work with these interactive creative strategies in the Creative Workshops. 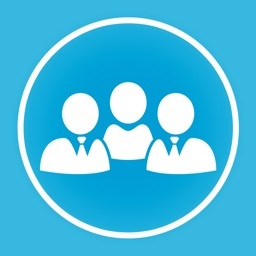 You can use the Creative Whack Pack by yourself, or with colleagues and friends.